Throughout the spring of this year, multiple analysts were expressing skepticism about Apple due to allegedly soft demand for the iPhone X. Now, one analyst has downgraded Apple for the opposite reason —the iPhone X has become too popular, and that is somehow a problem. Analyst Pierre Ferragu of New Street Research this week issued a downgrade of Apple stock to "sell," because he believes purchasers of the iPhone X will likely hurt the upgrade cycle down the road. "We expect a material disappointment in 2019," Ferragu said, as cited by CNBC. "The iPhone X has been very successful and well received by consumers. It has been so successful, that we think it has brought forward demand." Ferragu set a price target of $165, down from the previous level of $170 —far below its current stock price of around $215. His call is also significantly below the way most analysts see iPhone demand heading this year and next. Ferragu went on to predict that the iPhone X upgrades will create an "air pocket" that won't be offset by the popular of the 2018 phones, even if one of them is lower-cost. While Apple does not separate out iPhone sales by models, the company sold 41.3 million iPhones in the third quarter, with Tim Cook announcing that the X was the most popular iPhone during Q3. 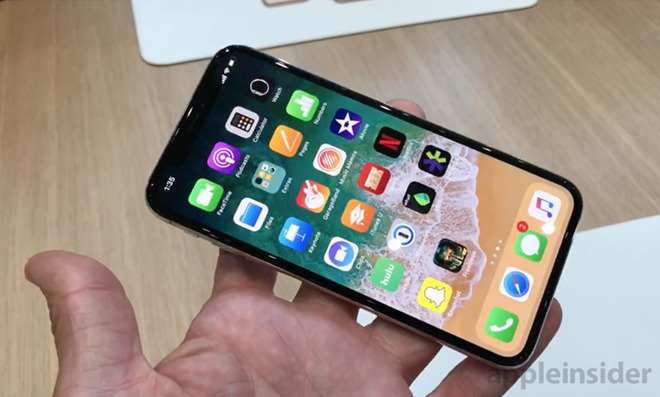 The average selling price (ASP) of the iPhone rose to $724.12 from the year before, although it was down from the first quarter's $796.42, when the iPhone X was newer. Throughout March and April, several analysts — including Morgan Stanley's Katy Huberty — saw weakness on the horizon for Apple's stock, due largely to what was perceived at the time as soft iPhone X demand. But Apple beat earnings estimates in Q2, sending the company on the path to its stock price reaching $200 and, the same week, becoming the first company to reach a $1 trillion valuation.